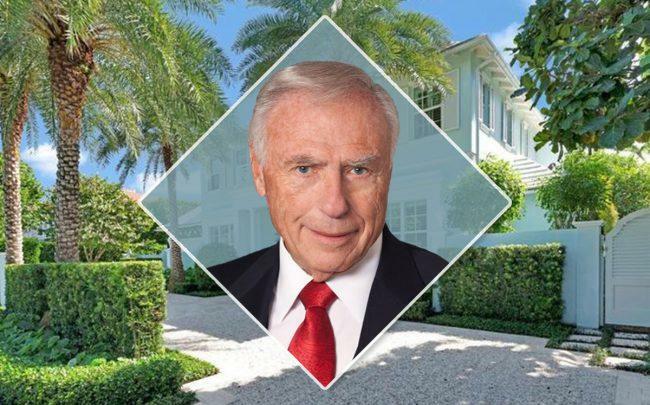 Arnold Fisher, a senior partner at the New York real estate firm Fisher Brothers, bought a home in Palm Beach for $7.15 million. Fisher purchased the 4,592-square-foot house at 226 Kenlyn Road for $1,557 per square foot, records show. He bought the home from ShadowCorp Holdings, which is managed by John Grand. The four-bedroom, five-and-a-half bathroom house was built in 2013. Some of its features include a saltwater pool, a wood paneled library and two fireplaces. Grand bought the house in 2013 for $4.1 million from Malasky Homes, a West Palm Beach-based homebuilder. Founded in 1915 by Martin Fisher, Fisher Brothers became one of the largest and most well-known real estate companies in New York City. Arnold Fisher became a senior partner and oversaw the construction of a number of office buildings in Midtown Manhattan, including 299 Park Avenue, 605 Third Avenue, 1345 Avenue of the Americas, Park Avenue Plaza, Imperial House and 50 Sutton Place South. Now 84 years old, he has stepped away from the day to day responsibilities but is still active in the company’s decisions, according to a 2013 Wall Street Journal report. In 2015, Forbes estimated the Fisher family had a net worth of $1.6 billion. Palm Beach is one of the wealthiest towns in South Florida with the most expensive residential real estate properties. Earlier this month, Trump’s planned ambassador to Ireland Brian Burns sold his 6404-square-foot house at 217 Via Tortuga in Palm Beach for $8.8 million. In February, Malasky Homes sold a 5,769-square-foot house at 608 Island Drive for $15.5 million.